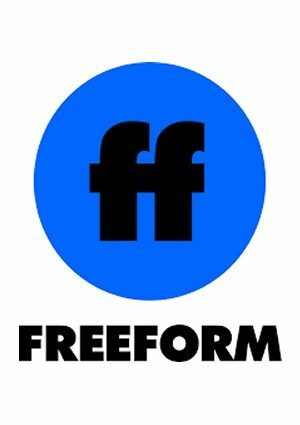 What channel is Freeform (formerly ABC Family)? Available on most cable networks. Check with your local provider for channel. Please put Three Days on the schedule. I cannot find it anywhere. I have tried to buy the DVD,but it’s impossible. LOVE that movie. My daughter found it on Hulu! What about Holiday in Handcuffs?!?!? It used to be on Netflix they should put it back up and play it during this time! I love Holiday in Handcuffs as well. Would love to see it on TV this year. Uhh where the crap is “How The Grinch Stole Christmas”? …or The Christmas List. The lucky lady who is no longer married to the president-elect, Marla Maples, is in that one! The Christmas List with Mimi Rogers is one of my all time favorite Christmas movies!!! I love to watch it every year (if I can find it). Yes! Please, The Christmas list!! Or at least give some way of streaming or purchasing it!! My all time favorite Christmas movie! Dolly parton, smokey mountain Christmas, please play this movie this year.Thanku. ABC FAMILY,,,PLEASE READ OUR COMMENTS AND PLAY THE MOVIES WE LIKE !!!!!!!!!!! Please put on tv THE CHRISTMAS LIST AND THREE DAYS,,,, it would sooo much make my holidays…Stop repeating movies and put these on !!!!!!!!!!!!!!!!!!!!!! I love The Christmas List, too! It is so cute! I’m also looking for the Christmas list. Its such a nice movie. I’ve never heard of Three Days. Who is in that one? I’m going to have to Google that. I agree! “The Christmas List! love it! I am so glad I’m not the only person who came onto this site looking for the Christmas List. I sincerely love this movie so much. It has been a staple Christmas movie in our family. Please, for the love of the season, PLEASE air it! thank you for the Christmas list this year . you gave my child hope that she can come home this Christmas. she has cancer , but thank you for what you have done. I would really like it if you would show the christmas list this year, it’s my favorite christmas movie. I truly HOPE The Christmas List will be televised this year! I can’t believe it’s not on dvd! Excellent movie and it’s one of my favorites! Please put on the Christmas list, with Mimi Rogers. Thanks, and Merry Christmas. Please, Please, Please put The Christmas List back on the TV line up for 25 days of Christmas or put it out on DVD so I can watch it year round. This is one of my favorite movies. Please. I so agree. Why can’t we get The christmas list back on tv? I was blown away literally when The Christmas List wasn’t on televison last year! Had it recorded on my dvr but was automatically deleted by the system to make room for new recordings! Only way to get a dvd copy is bootleg which i refuse to do!! Also Matchmaker Santa is one of my favorites! Why that isn’t on dvd by now is a mystery to me!!! Please, add The Christmas List to this year’s schedule. And please, please bring it out soon to DVD, it is most amazing movie. I absolutely want to see The Christmas List again. It is so much better than most of the Christmas movies that are shown each year. Please include it in the 2014 Christmas movie schedule! Thank you. Is it that difficult to get the Christmas List out of the Disney vault? Please put it on the 2014 schedule so we can all enjoy a really good Christmas movie. So many of the newer movies are so poorly written. The Christmas List is a gem and the acting is quite delightful. We hope so too… The Christmas List was our #1 MOST REQUESTED/ASKED ABOUT movie of the 2013 season. Unfortunately, we have no control over whether or not they air it but hopefully the include it in 2014. In the mean time, we have added the full movie to watch online above. I cannot believe you are not playing the Christmas List this year…My girls (ages 25 and 27) look forward to seeing this movie every year. In the spirit of the holiday, please find a place to show it in 2013….The new movies are just not the same and they are played over and over…. I look forward to watching The Christmas List every year! Please play it! It’s my the one movie my mom and I watched when it first came out and every year after. It’s my favorite! Please air it. Please play The Christmas List this season. That is one of my favorite movies. Pleeeease play The Christmas List! I can’t stand Christmas movies, it is one of the only ones I love and haven’t seen it in years!! Please play the Christmas List my favorite! Please play The Christmas List at least once! Many of these movies are playing over and over maybe you can just exchange one of them! Please! Is The Christmas List not on the schedule at all?? I had it on my TIVO and I would just rewatch it every year. Except this year it was accidentally deleted! Ugh. Now I’m trying to re-Tivo it but I don’t see where it is playing…. I had The Christmas List on my DVR….but then needed a new cable box and so it was gone. Good thing I watched it in October before the DVR box needed to be replaced! I am wishing I could see it during the holiday season. Seems like some of the most awful Christmas movies are on over and over again. Is there some problem (copyright or otherwise) that doesn’t allow for the Christmas List to be shown? Thanks for adding “Three Days”. I have liked that movie since it’s premiere. I would like to see it in the prime time on the East Coast. Thanks also for the classics like “Nestor” and “Little Drummer Boy”. The Bass-Rankin movies are great! Please add “The Christmas List”! It’s my FAVORITE Christmas movie of all time. Also, “A Mom for Christmas” is another good one! Bring them back! Gotta put another vote in for The Christmas List. And a chance to buy it on DVD. It’s my moms favorite!!! I am looking for the remake of Miracle on 34th St. with McDermott/Eliz Perkins. It was on last year – but not on the schedule for 2013. Please bring it back. My all time favorite. You had it on last year and was looking forward to watching the remake. Mira was great in this too. Another vote for The Christmas List!! Obviously, everyone wants to see The CHRISTMAS LIST. Please find a way to add The Christmas List to the schedule. It is truly an amazing family holiday movie that should not be omitted from the line-up. Please find it in your hearts to grant this simple wish for your viewers. Ahhh, no thank you for ioffer.com, nor directmediadvd.com…both of these places didn’t do too well with the BBB. I prefer the more reliable Amazon.com. Sooo, Family Channel…add The Christmas List to your schedule AND Store to purchase!! Understand completely; however, it worked incredibly well for me and I am now enjoying my own DVD of The Christmas List. Please play the Christmas List. I take off work every year to watch it no matter what time it’s played. It’s my tradition. Thanks! I loved the Christmas movie THE CHRISTMAS LIST. Please add this movie to your 2013 schedule. I’ve always loved that movie!! Willl it ever come out on a DVD? I HOPE SO!!!! Why, oh why, do you not show The Christmas List several times during the countdown until Christmas? This is a wonderful family movie; even though it is older. So far, you do not even list it as a ‘late night movie’ so that we can even DVR! Please show this movie! PLEASE PLAY THE CHRISTMAS LIST WITH MIMI ROGERS!!!!! Will The Christmas List be on the Christmas movie schedule this year. It is one of the best ones with good acting and good script. Thanks. Thank you for these great family movies and thank you for adding Three Days! Havent seen Christmas comes to Willow Creek, A Christmas Romance or A Christmas do-over in years? Would love for my Children to see them. Please play Three Days in Cincinnati, Ohio.